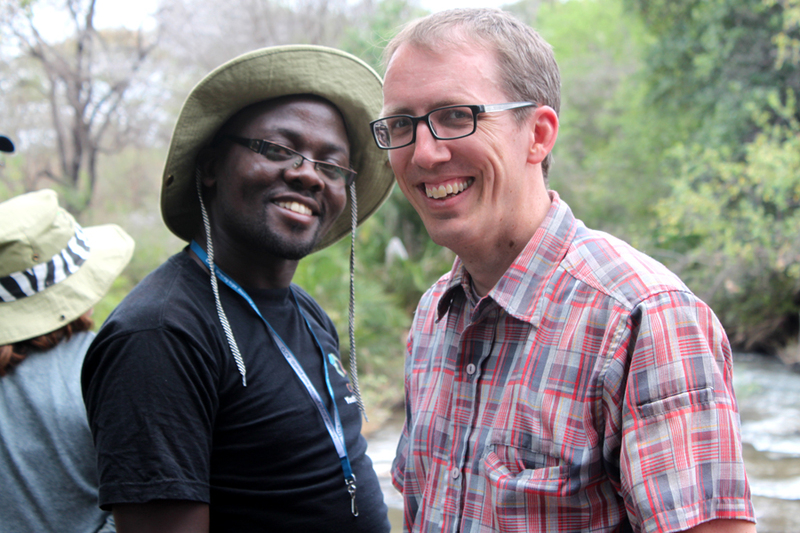 From left, Amos, CFCA youth program coordinator in Nairobi with Dave Heaton, CFCA director of operation in Kansas City. Dave visited Kenya on a CFCA awareness trip in 2013. Have you ever wondered what happens on a CFCA awareness trip? Watch this field notes video to see how Dave Heaton, director of sponsorship operations at CFCA headquarters in Kansas City was welcomed into Kenya. CFCA awareness trips bring you to a world you would never experience as a regular tourist. Our trips introduce you to the reality of everyday life in another part of the world. Trip participants get the chance to meet and spend time with many sponsored friends and family members who are part of the sponsorship program. In addition to meeting new people, travelers are immersed into cultures where singing, dancing, life and love are engrained in the identity of the people. Dave Heaton, director of sponsorship operations at CFCA headquarters in Kansas City, sat down to describe his experience traveling to Kenya and the welcome he received from sponsored friends and their families. Oh Dave, that was such a nice video! It made me miss Kenya, all the staff, the sponsored kids and our fellow trip members!! Hope to go some day!! !